Rak of Aegis is back on its 5th and possibly last run! If you’ve always wanted to catch the original Pinoy musical, you should make it a point to watch it this time around. 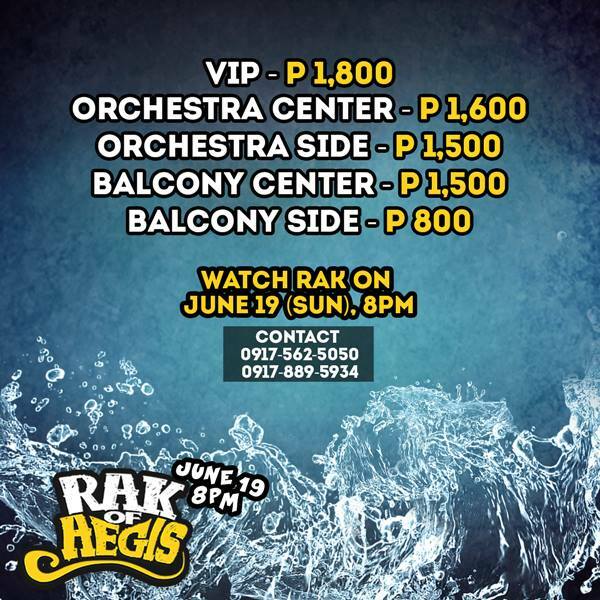 My friend Lui is selling tickets for the June 19, 8 PM show of Rak of Aegis. Feel free to inquire for tickets at the numbers listed above or at the event page. Let’s go out and support Filipino arts!